Though his love life was notorious, even infamous, Lord Byron’s ability to speak of the aesthetics of love is nothing less than profound. Thus, this week’s poem is a good ol’ fashioned love poem. 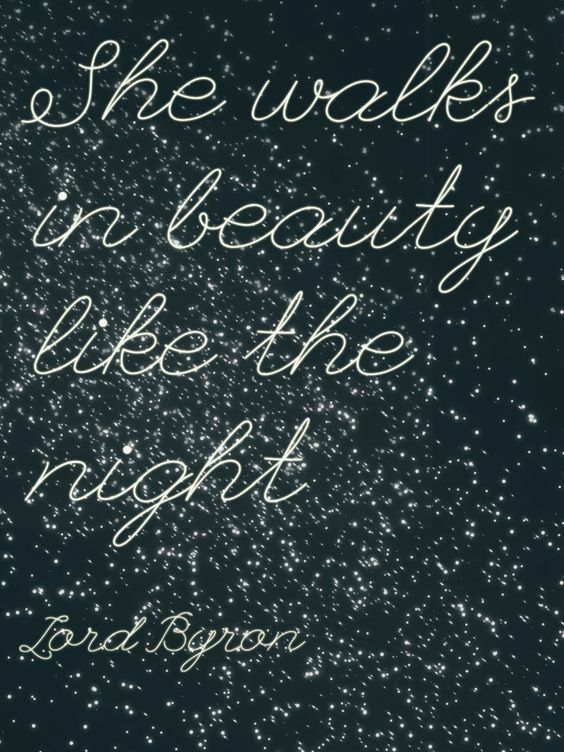 Lord Byron (1788-1824) was an English poet and a leading writer in the Romantic movement. Though in life he may have seemed to be a young, amorous, spoiled aristocrat, his handling of language particularly in the form of poetry will forever cement him as one of the best writers in English. In a Telegraph article, “The 1o best love poems,” Felicity Capon states that “She Walks in Beauty” is “[a]rguably the most romantic poem in English literature.” Try not to think too intently on the context of the poem’s writing though–it is said that Byron wrote it after seeing his cousin outside of a ball. Yikes! However, without further ado and for which ever lovely lady is in your life, let Lord Byron’s words transfix and transform you.